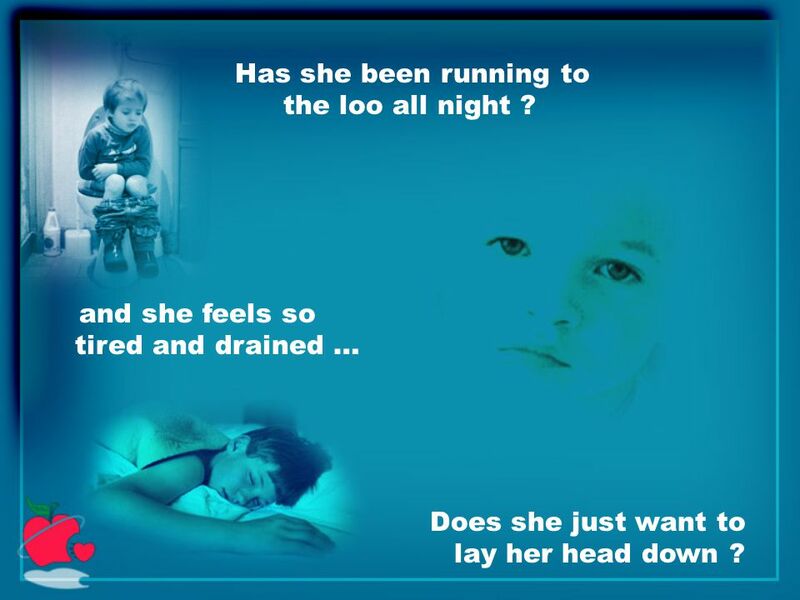 Did your child wake up today not feeling too well ??? Did he say that he didn't feel like going to school ? 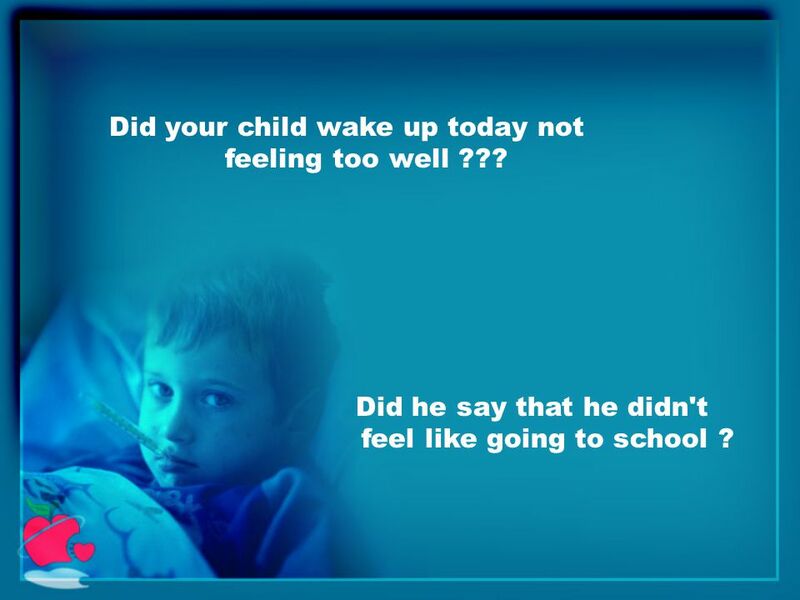 1 Did your child wake up today not feeling too well ??? Did he say that he didn't feel like going to school ? 2 Did you remind her of all the fun she has at school ??? 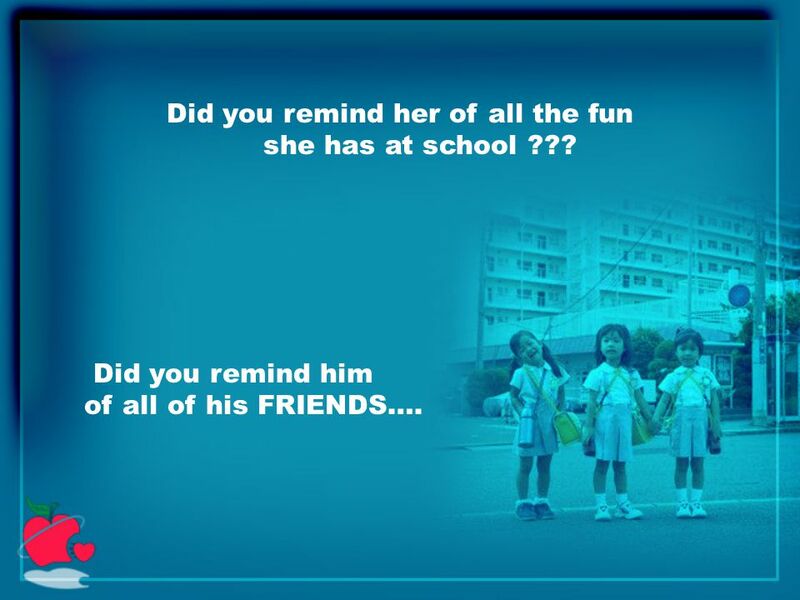 Did you remind him of all of his FRIENDS…. 3 But was it his head that hurt so much ?? 4 Or was it his eyes that pained or itched ? Was her nose running? 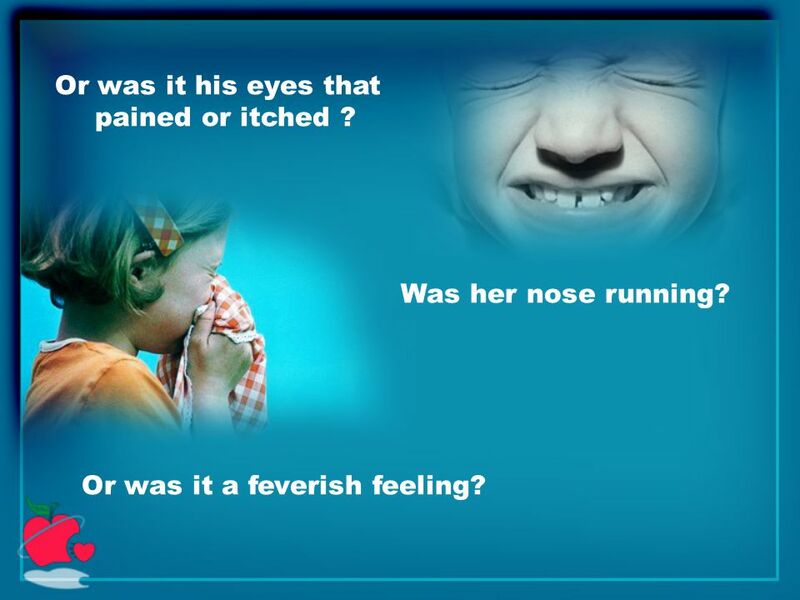 Or was it a feverish feeling? 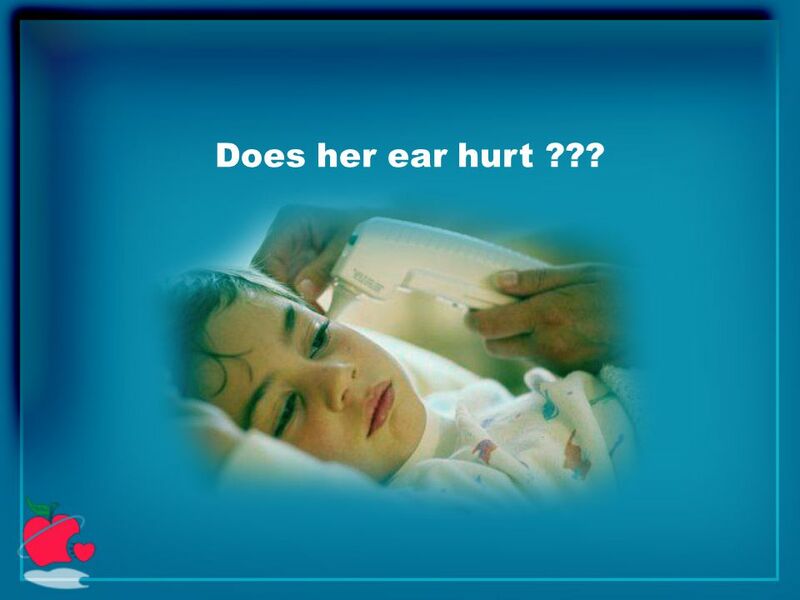 5 Does her ear hurt ??? 7 Is it her tummy that hurts? Does she so want to throw up ??? 8 Has she been running to the loo all night ? and she feels so tired and drained … Does she just want to lay her head down ? 9 TELL US…………. 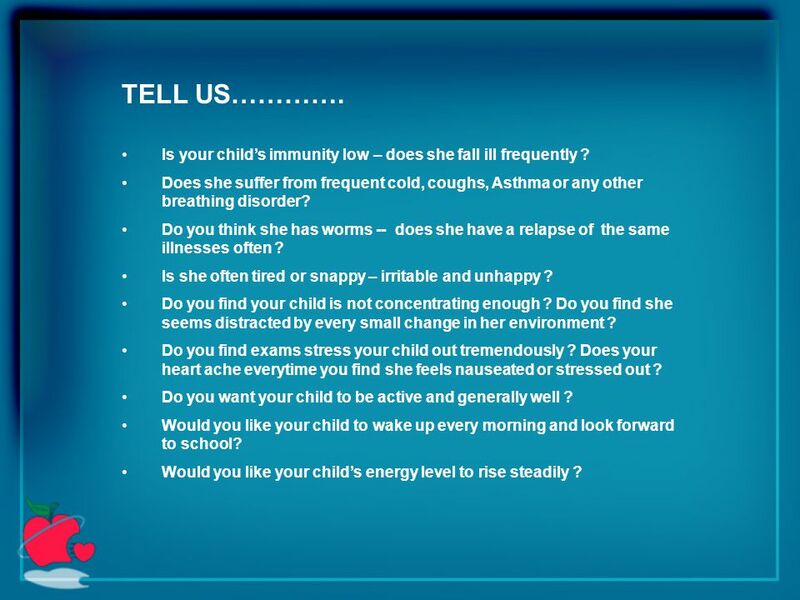 Is your child’s immunity low – does she fall ill frequently ? Does she suffer from frequent cold, coughs, Asthma or any other breathing disorder? Do you think she has worms -- does she have a relapse of the same illnesses often ? Is she often tired or snappy – irritable and unhappy ? Do you find your child is not concentrating enough ? Do you find she seems distracted by every small change in her environment ? Do you find exams stress your child out tremendously ? Does your heart ache everytime you find she feels nauseated or stressed out ? Do you want your child to be active and generally well ? Would you like your child to wake up every morning and look forward to school? Would you like your child’s energy level to rise steadily ? 10 Well then ….. We have something for you ….. And yes….. It will make you and her smile again!!! 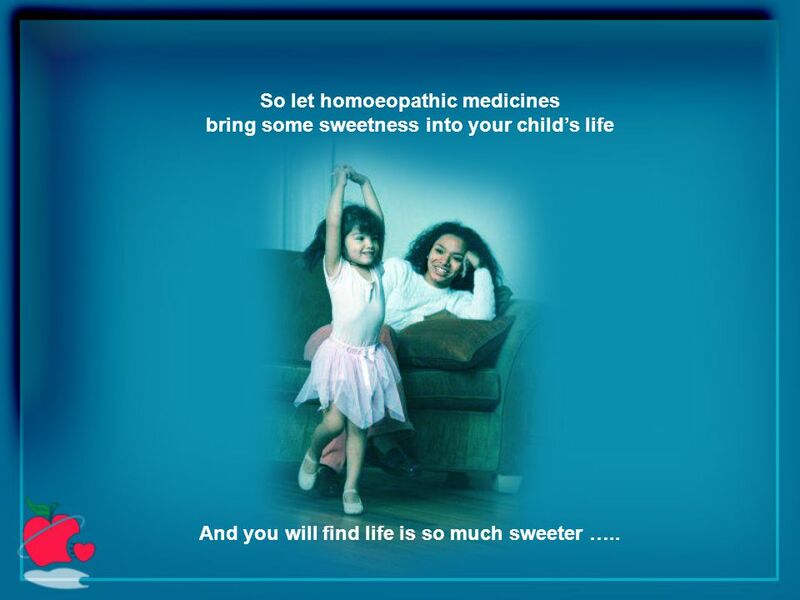 11 Something sweet.. And they will take away All her headaches, colds, coughs etc…..
12 HOMOEOPATHIC MEDICINES!! 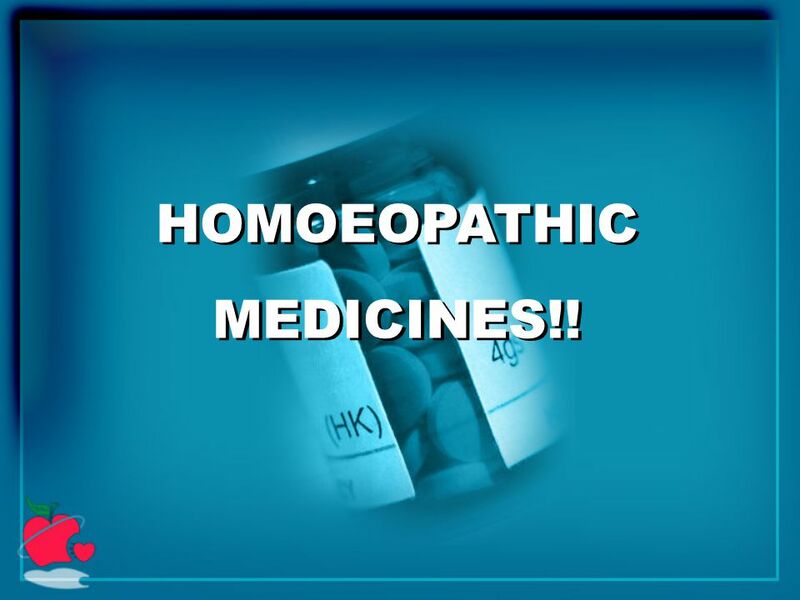 HOMOEOPATHIC MEDICINES!! 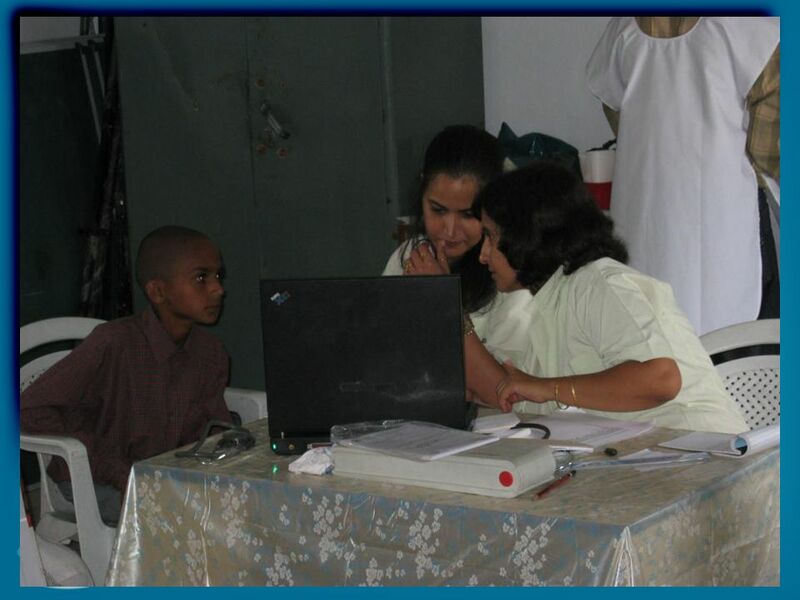 14 Homeopathy is a safe system of Medicine for children. -- Primarily, any medicine administered to children must be free from harmful effects. Unlike conventional medicines, homeopathic pills – do not affect digestion, – do not lower resistance power, – do not produce allergies and – do not harm even if taken long-term. 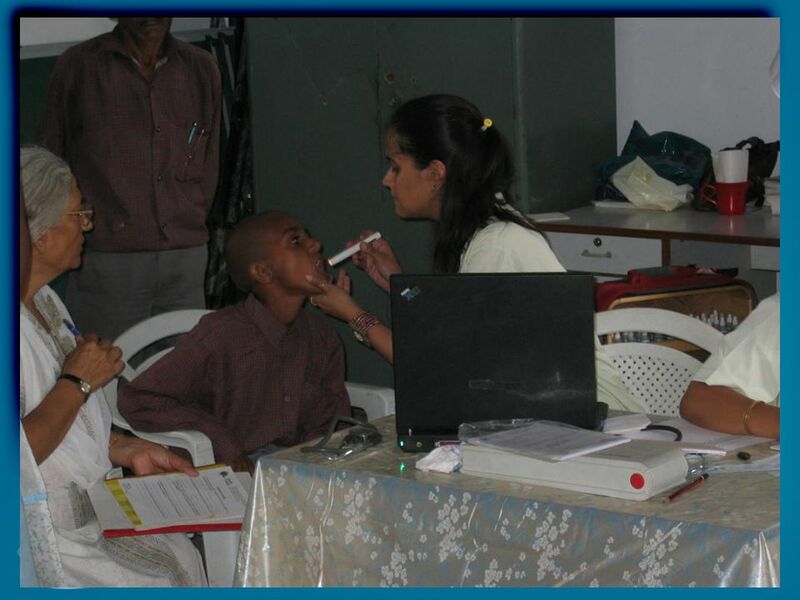 Homeopathy is exceptionally effective for almost all sorts of complaints occurring in children. Contrary, to the common misbelief, homeopathy is fast acting and brings back the healthy state in the quickest possible manner; be it fever, cough- cold, diarrhea, asthma, etc. Homeopathy helps in building body resistance in children who habitually have recurring infections due to lowered resistance power. 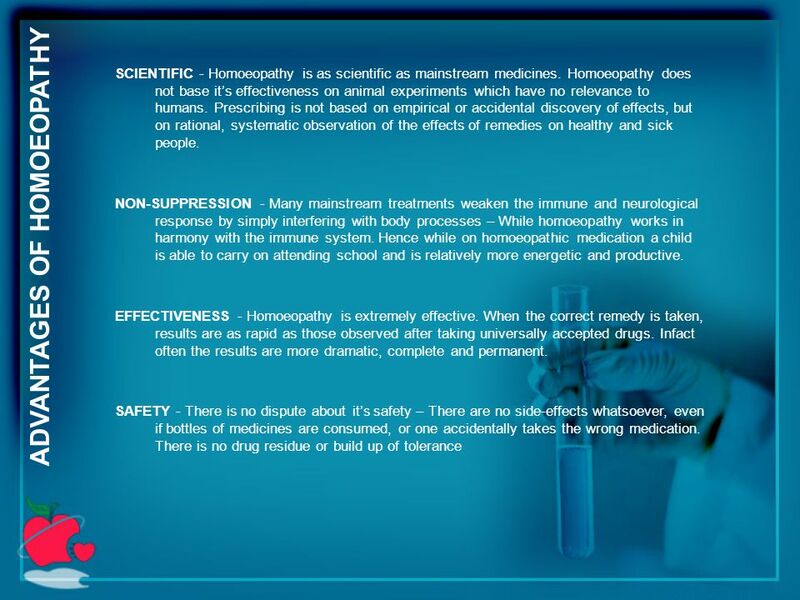 – Homeopathic treatment being based on the”Constitutional Approach” treats the disease at the root level. – Enhances the resistance power of the child. – As a result of which the child will not fall sick frequently. 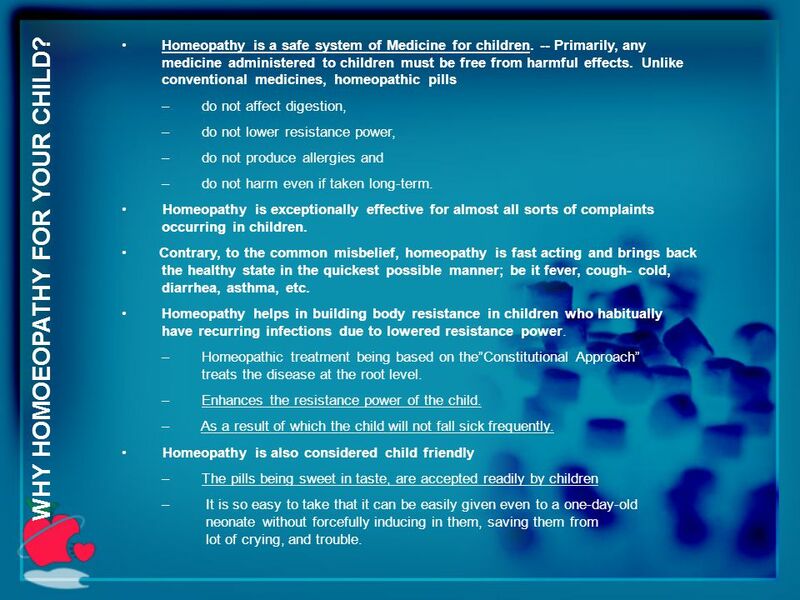 Homeopathy is also considered child friendly – The pills being sweet in taste, are accepted readily by children – It is so easy to take that it can be easily given even to a one-day-old neonate without forcefully inducing in them, saving them from lot of crying, and trouble. 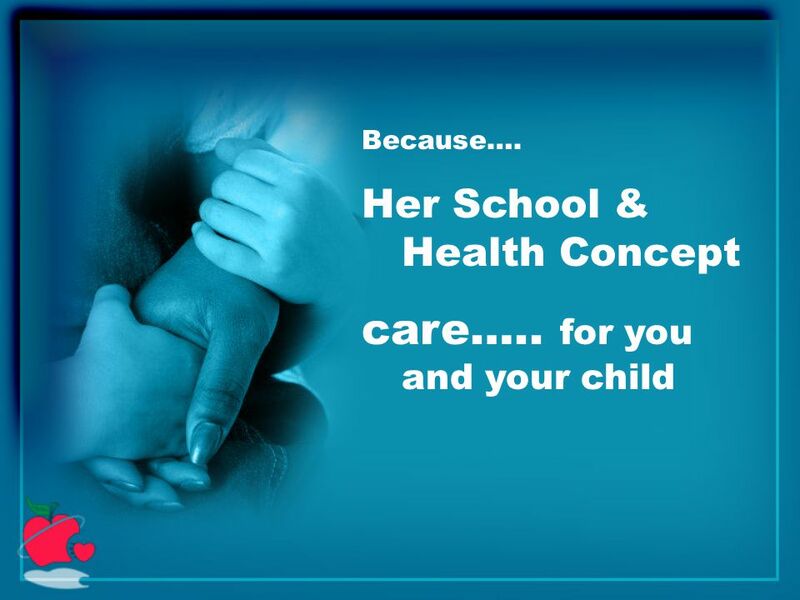 WHY HOMOEOPATHY FOR YOUR CHILD? 15 ADVANTAGES OF HOMOEOPATHY TREATMENT –Homoeopathy deals with a wide spectrum of disorders including acute and chronic diseases like (a) Infections : Cough & Cold, Flu, Ear Infections, Bronchitis, Pneumonia, Measles, Chickenpox, Mumps, Skin-boils, Gastroenteritis (Diarrhea & Vomiting),kidney & Urinary Tract infection, and many more. (b) Allergies : Child-Asthma (Asthmatic Bronchitis), wheezing, skin allergy, Eczema, Urticaria, food-allergy, etc. 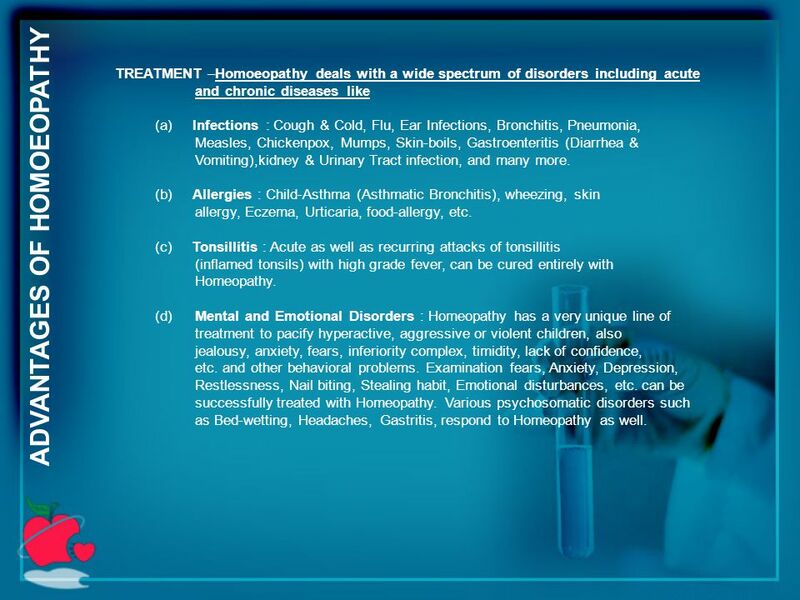 (c) Tonsillitis : Acute as well as recurring attacks of tonsillitis (inflamed tonsils) with high grade fever, can be cured entirely with Homeopathy. (d)Mental and Emotional Disorders : Homeopathy has a very unique line of treatment to pacify hyperactive, aggressive or violent children, also jealousy, anxiety, fears, inferiority complex, timidity, lack of confidence, etc. and other behavioral problems. Examination fears, Anxiety, Depression, Restlessness, Nail biting, Stealing habit, Emotional disturbances, etc. 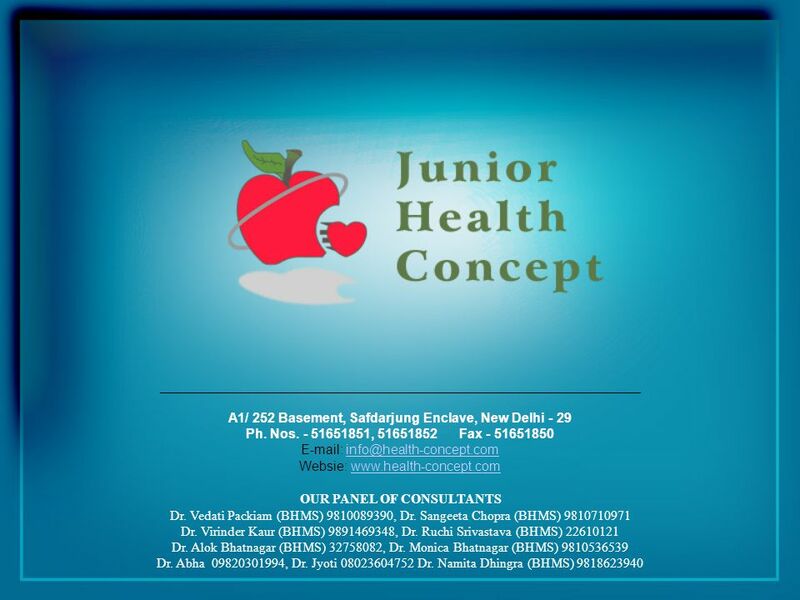 can be successfully treated with Homeopathy. 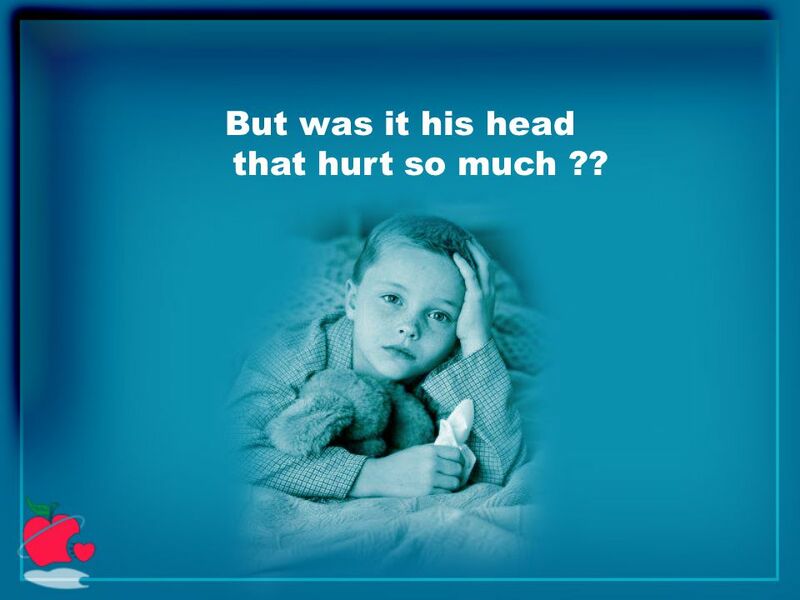 Various psychosomatic disorders such as Bed-wetting, Headaches, Gastritis, respond to Homeopathy as well. 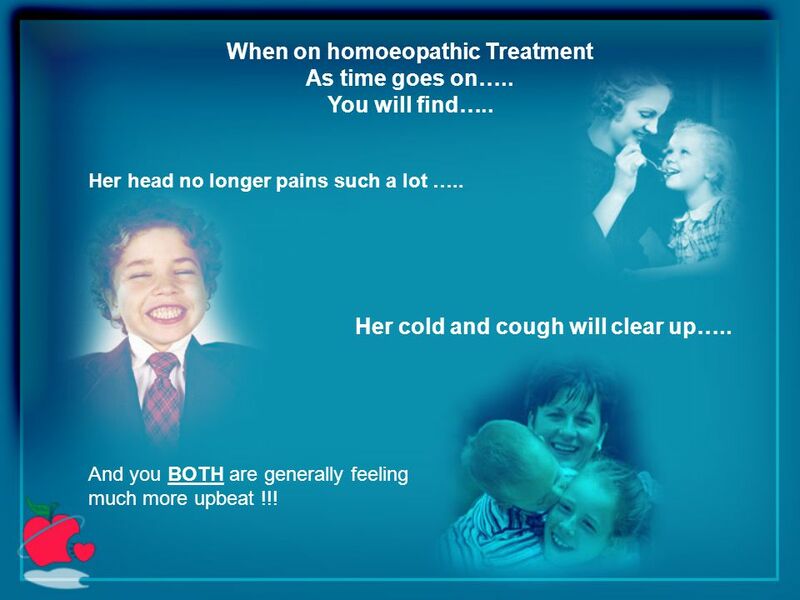 17 When on homoeopathic Treatment As time goes on….. You will find….. Her head no longer pains such a lot ….. 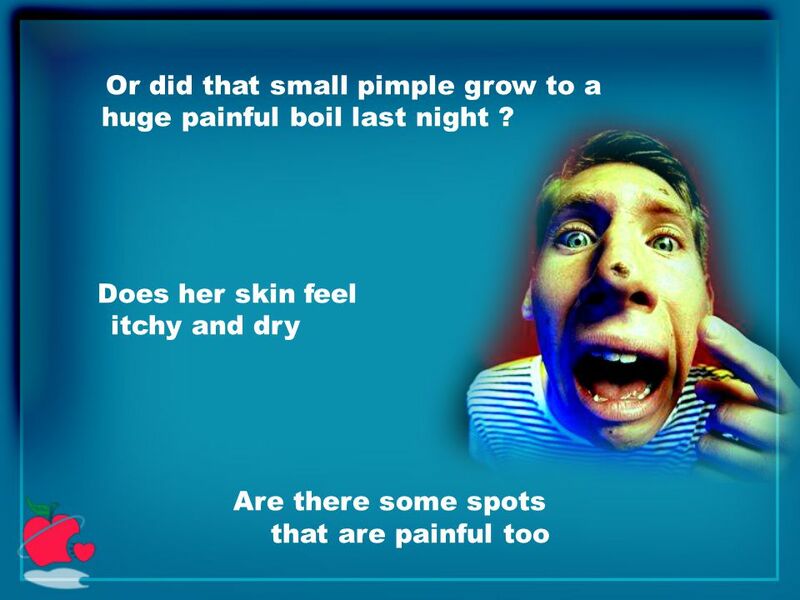 Her cold and cough will clear up….. And you BOTH are generally feeling much more upbeat !!! 18 So let homoeopathic medicines bring some sweetness into your child’s life And you will find life is so much sweeter …..
Download ppt "Did your child wake up today not feeling too well ??? Did he say that he didn't feel like going to school ?" ( · ). Word power Unit 2 Unit 2 word power Can you tell the names of some common diseases? Thanks to Carmen González E.O.I. Langreo. Did you wake up today not feeling too well ??? Did you tell your mother you didn't feel like going to school!!!! Did you tell your mother you didn't feel. Communicable Diseases and You. What is a Disease? A disease is a condition or illness that affects the proper and usual functioning of the body or mind. Understanding Insomnia Insomnia: – trouble falling asleep, – staying asleep, waking too early, – Don’t feel refreshed when you wake up. – Sleepy and tired. Stress In Your Life Stress is an unavoidable part of life If positive It can make life fun and exciting If negative it can severely impact your physical. CHAPTER 3 MANAGING STRESS 2014/2015 Managing stress  Stress – the reaction of your body  Stressors – the causes of stress  Situations  Events  People. OUR PANEL OF CONSULTANTS Dr. Vedati Packiam (BHMS) , Dr. Sangeeta Chopra (BHMS) Dr. Virinder Kaur (BHMS) , Dr. Ruchi Srivastava. Challenging medicine. Medicines and human health Roadmap challenges In Chemistry for Tomorrow’s World, the RSC says: “Global change is creating enormous. STRESS MANAGEMENT Fitness for Life. How Acupuncture Can Help With Stress. How Much Stress Do You Have? 62% of Americans say work has a significant impact on stress levels. 73% of Americans. Health Grade 6 Understanding Drugs Mr. Vargas. Drugs and Your Health What advice would you give to a friend about how to use medicine safely? OUR PANEL OF CONSULTANTS Dr. Vedati Packiam (BHMS) 9810089390, Dr. Sangeeta Chopra (BHMS) 9810710971 Dr. Virinder Kaur (BHMS) 9891469348, Dr. Ruchi Srivastava.